Checking Your Smoke and Carbon Monoxide Detectors Could Save Your Life! Making a note to regularly check your smoke and CO detectors will save your life! Smoke and CO detectors are installed in your home as a necessary safety precaution. Neglecting to keep them in working condition is outright foolish. The reason smoke detectors were invented and require installation in all homes is to alert you of a fire emergency. Credited with preventing millions of lives lost once our society figured out that falling asleep and waking up after breathing in smoke for hours didn’t, necessarily help the mortality rate, smoke detectors are essential. 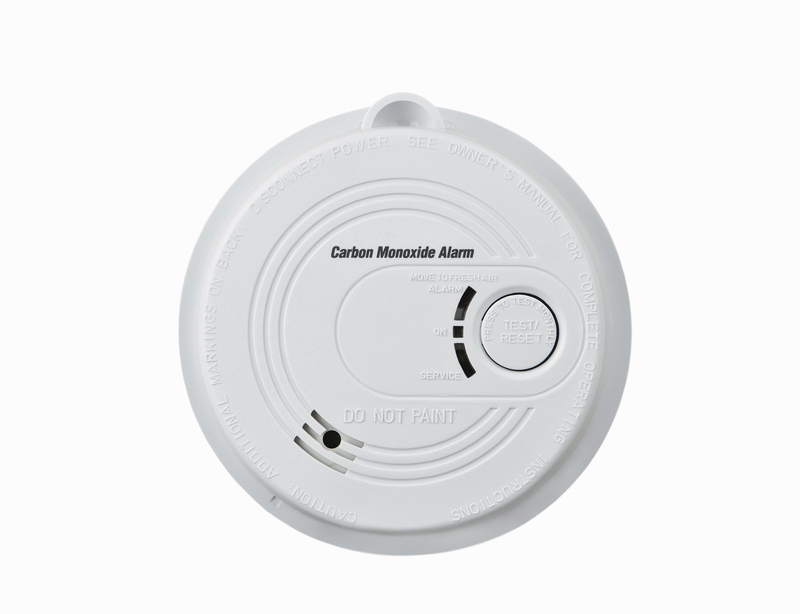 The same rise in home safety precautions occurred with the invention of carbon monoxide detectors. An odorless, colorless gas, carbon monoxide is extremely deadly as well. Without sensory identification, a CO leak is impossible to spot. Many home deaths have been avoided because of the deadly gas detector. Educating yourself on how to check your smoke and CO detectors could save your life! In this week’s blog, we’ll walk you through how to check your smoke detector and offer tips for keeping up with necessary maintenance. Electronic devices are sometimes glitchy. Especially battery-powered ones. Check your smoke detector once a month by pressing and holding the ‘test’ button. The button is usually directly in the center of your device, and once you do this, an extremely high-pitched, ear-piercing test alarm sounds. If the alarm sounds weak or doesn’t go off at all, your batteries need replacing. Once batteries have been replaced, be sure to press the test button once more to make sure it’s working properly. Hardwired smoke detectors run on your home’s electrical system and include battery backups in case of power failure. If you have the old model, the hardwired model can easily be retrofitted to each level of your home. If it’s not extremely loud, irritating, and somewhat painful to the ears, it’s not going to wake you up if there’s a fire. If your smoke detector isn’t showing signs of needed maintenance, batteries should still be replaced every 6 months as a precaution. Protect yourself and your loved ones! Breathing smoke for an extended period of time and getting stuck in a smoldering house is, believe it or not, quite detrimental to your health. Be responsible and check your smoke detector today! Homes with water heaters, furnaces, gas-stoves and fuel-burning devices should always have carbon monoxide detectors. However, even if your home does not run on fuel-burning, you never know when a massive leak from a neighbor, or nearby facility could creep into your living space. There is no way of knowing the poisonous gas is in your home without a detector, so checking it regularly is crucial to your survival! These devices are quite similar to smoke detectors. Running on batteries as well, be sure to change them every 6 months. Newer CO detectors, however, are hardwired to your home’s electrical system as well and can easily replace battery-powered predecessors. These detectors will continue to function with backup batteries in the event of a power outage. A good method to remember to do this is to make it a habit to check every spring and fall when changing your clocks. Additionally, the detector itself needs to be replaced at least every 5 years to ensure optimal functioning. When checking your carbon monoxide detector, press the test button and listen for the high-pitched alarm again to see if it’s working. Some alarms will say ‘Caution Carbon Monoxide.” Whatever the signal, it needs to be loud and clear enough to awaken you during an emergency. If not, batteries must be replaced. This entry was posted on Wednesday, June 15th, 2016 at 7:27 pm. Both comments and pings are currently closed.